The weekend started off by Grace having Daddy and Doughnut Day at school. Shawn went to her class where the daddies helped decorate doughnuts. After consuming all those delectable calories . . . They all headed to the gym for some dancing. 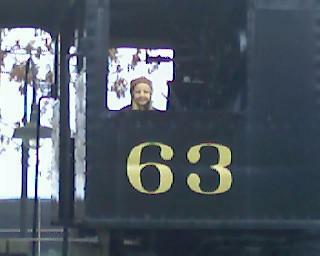 And lots of silly fun together. After Daddy Doughnut Day, Shawn took Grace on a date. They ate lunch at McDonalds and then headed to Mt.Vernon to the bike trail. 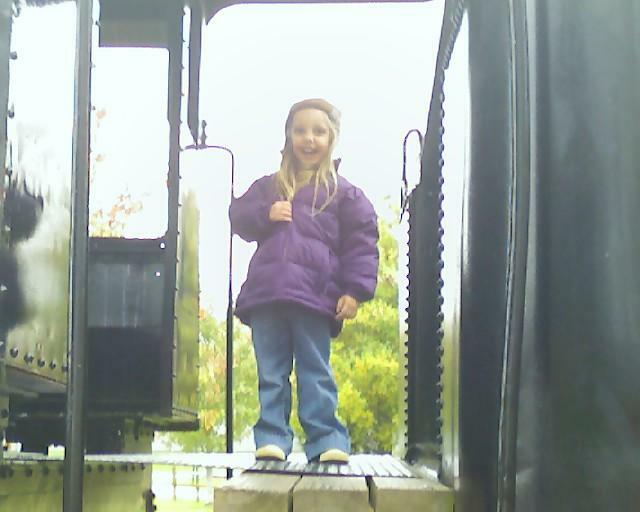 At the end of the trail there is a playground and a railroad car that you can play on. Friday night Grace had a sleepover with Mamaw and Papaw. They went to a High School Football game. 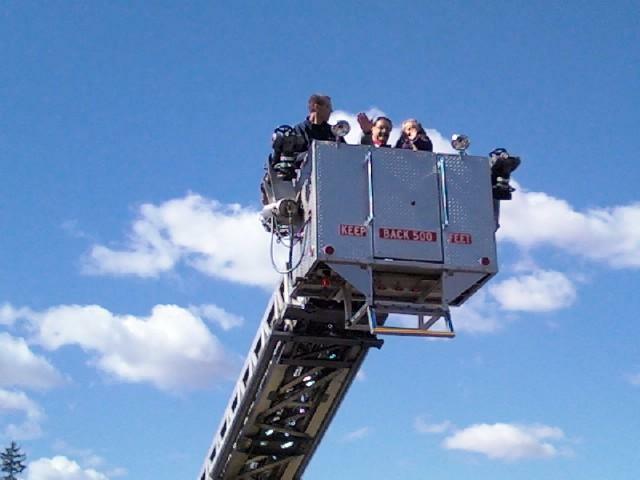 On Saturday, our local fire station had an open house for all the neighborhood kids. 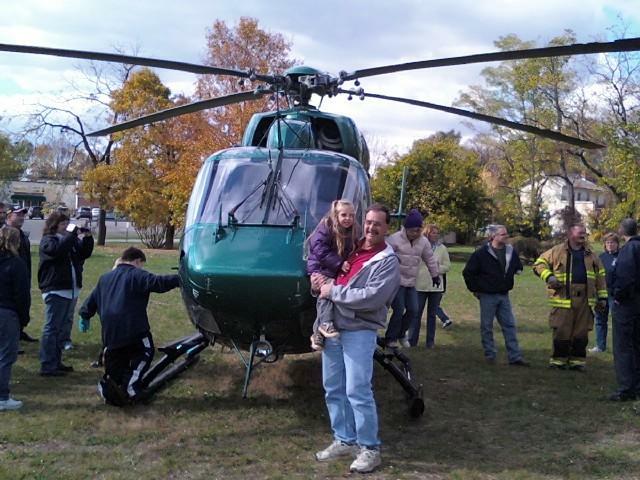 Gracie and Papaw in front of the Medical Helicopter. 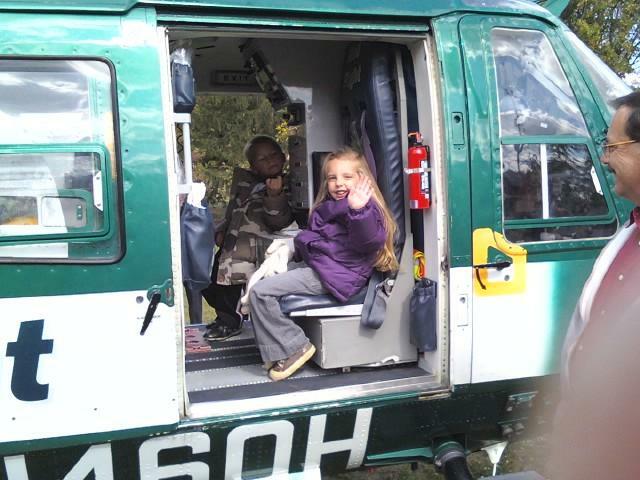 Gracie even got to sit in the Helicopter. 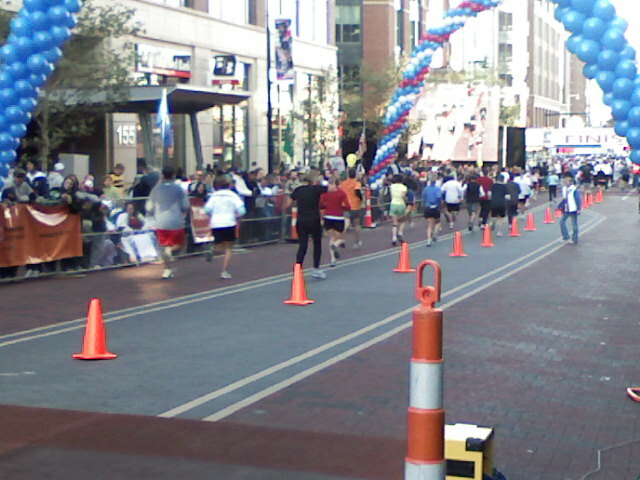 On Sunday morning (way to early) we headed down to Columbus for the Columbus Marathon. 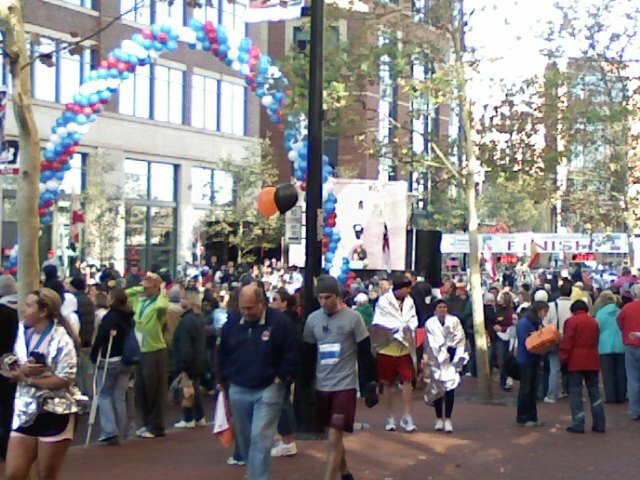 Shawn participated in the 1/2 marathon. Shawn among the 6000+ participants. I had never watched anything like it in my life. It was quite an emotional experience watching everyone pass through the crowd on their way to the finish. 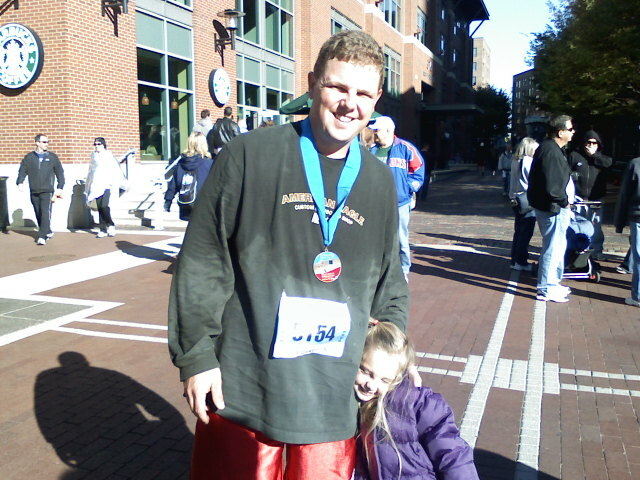 Shawn finished the 1/2 marathon in 2 hours and 6 minutes! We're very proud of him! 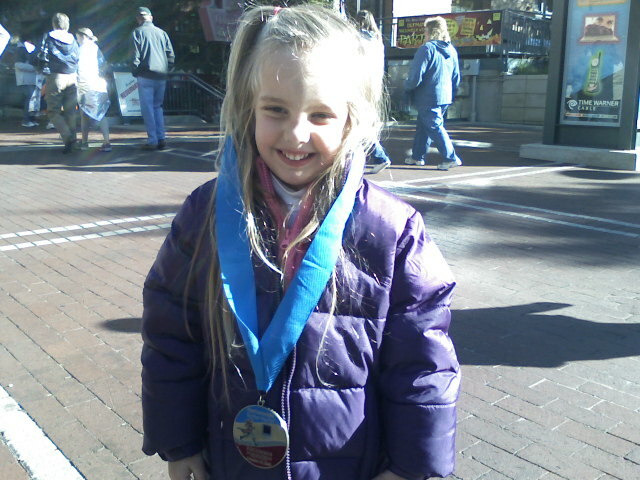 Gracie wearing the medal that "Daddy won for her!" Looking ahead to this week . . . 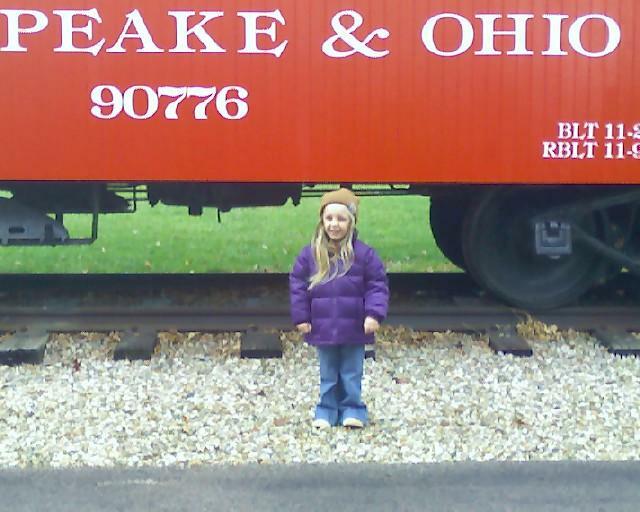 I need to finish up shopping for Gracie's Halloween costume and we still need to carve pumpkins. Grace and Gauge are so lucky to have such a loving dad. I am very impressed at the pictures and what he did for his sweet girl!!! cute, cute, CUTE! Looks like a great weekend!! What a weekend! It sounds like you had a really good time. I still need to get Jamison's costume together. This week it will be done. She wants to be a strawberry poptart. That girl is creative. We have friends that used to do the marathon every year. I agree with you; I"ve never seen anything like it and it was very emotional!